In case we receive a cancellation notice from you within 12-Hrs of placing the order and the order has not been processed by us, we will be more than happy to cancel the order and refund the entire amount to you deducting 3.5% of amount if payment was made through anyone of our payment gateway . For RTGS/NEFT / Direct deposits full refund would be given.We will not be able to cancel those orders that have already been processed and shipped out by us. The amount will not be transferred to the respected retailer until the user receives the product. He orders and changes his status to 'Delivered' on AC MahaBazaar. If the delivery fails within the specified deadline, the order will be cancelled and the amount will be refunded to the user. If the user places the order and due to some reason (unexpected lack of inventory or any other reason) the retailer is not able to ship the product, the order will be cancelled and the amount will be refunded. If the seller reports order as shipped and delivered from their side and the user does not raise an alert within 2 days the money would be transferred to the seller. Any return or refund is applicable on only AC UNIT and no refund or return request would be entertained related to scratches or damages on packaging carton/Cover. For minor scratches arising out of transit and shipment, the return or refund request are subject to consideration and sole discretion of Acmahabazaar. 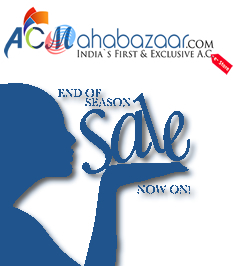 Acmahabazaar reserves right to decline any such request subject to inspection of unit and state of AC UNIT delivered. For any reason, other than a damage in AC Unit, if you do not receive the shipment, you would have to bare the cost of shipment/ any other logistic fees arising thereof. For reverse pickup request on cases other than Damaged Unit, you would have to bare the to and fro shipment charges. Refund for online payment would be made after deducting transaction charges as applicable and levied by different payment gateways. For any damaged AC UNIT if found on received, any refund replacement request has to be filed within 12 hours of successful receipt. ACMB reserves right to not consider any request raised after 12 hours or receipt of the AC UNIT. Once AC unit has been delivered and it is opened by you/ or installed at your premises, no REFUND/RETURN request would be entertained. 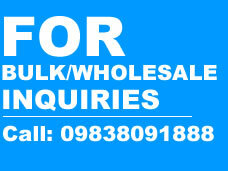 You would have to seek manufacturer warranty therof according to T and C of respective manufacturer. ACMB shall held no responsibility on unit beyond Delivery. Disclaimer: While AC MahaBazaar endeavors to procure the goods from the vendors and have them delivered to the customers, AC MahaBazaar disclaims any liability if the vendor fails to make the requested goods available for delivery.